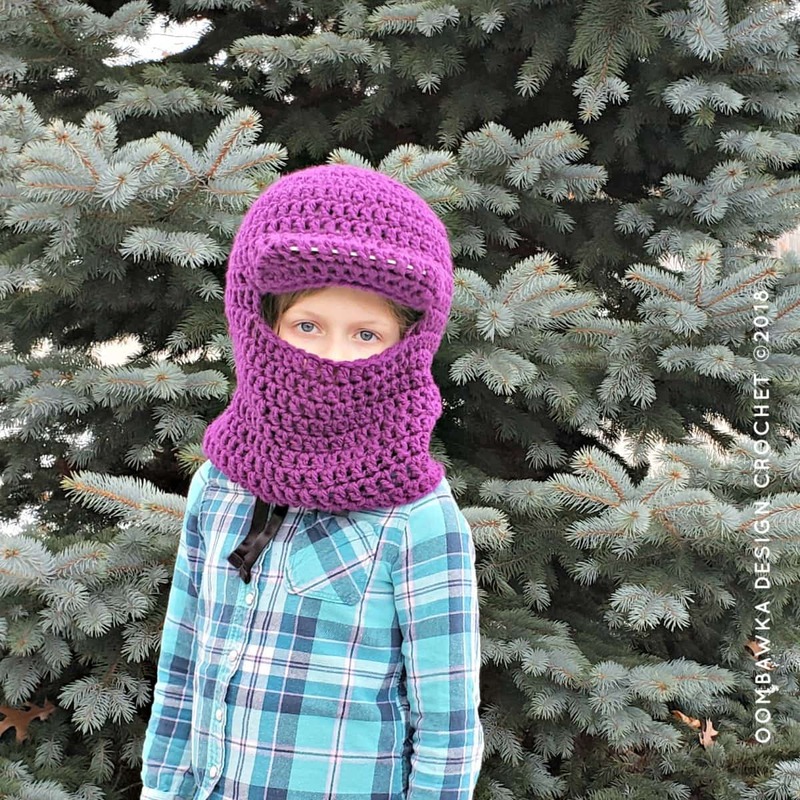 This post includes my free Winter Horseback Riding Helmet Cover Pattern. 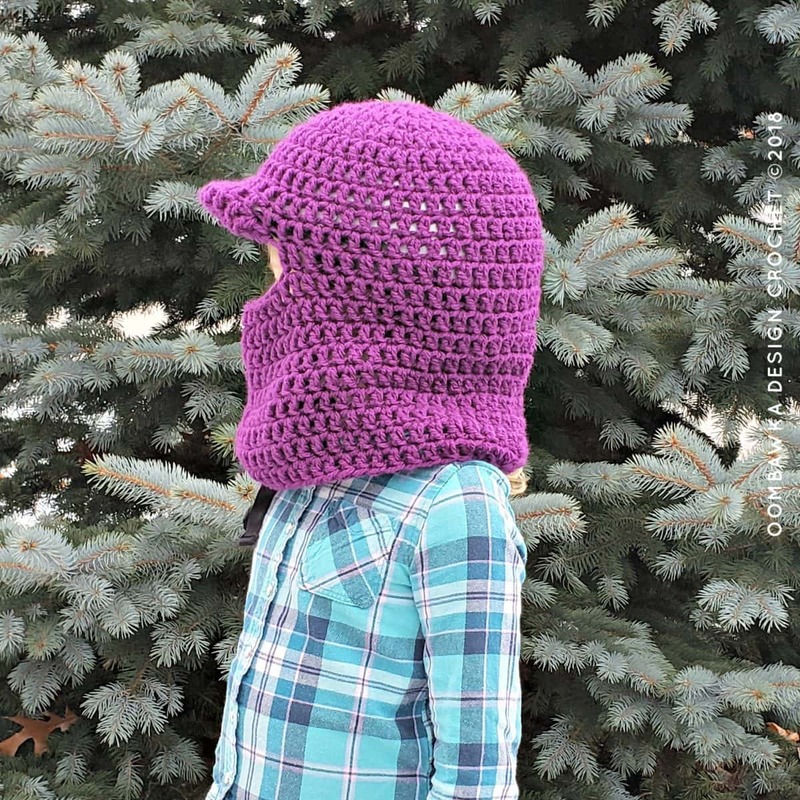 I designed this warm helmet cover to protect my daughter’s face from the cold. 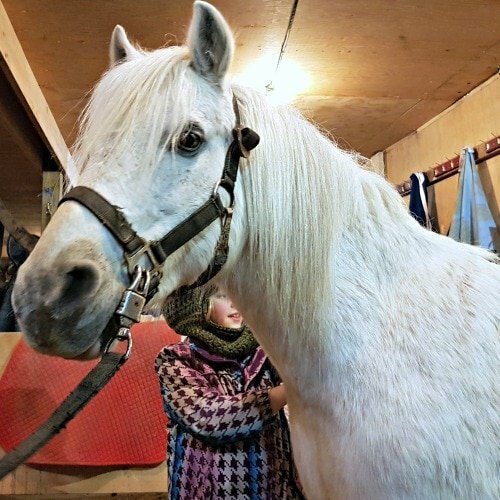 She started horseback riding lessons a little over a year ago. Last winter was SO cold, I was sure she would decide riding was not for her! But she insisted on going to her riding lessons even when it was minus 30 degrees outside. In an attempt to keep her somewhat warm during her winter riding lessons, I whipped up a helmet cover with some scrap bulky weight yarn last year. This year I needed to crochet a new equestrian helmet cover for her (her other one was getting quite worn looking after her weekly riding lessons). I decided to write the pattern down in case anyone else needed to make themselves a helmet cover too! This helmet cover will stretch to cover many sizes of equestrian helmets. Darla’s helmet is the IRH Equi-Lite Small Size helmet but the stretch in this yarn is generous. I suspect it will stretch easily to cover up to the 61 cm helmet size. It requires less than 1 ball of Red Heart Super Saver Chunky yarn to make and just a couple hours of time. The helmet cover will stretch to go under your chin if you would prefer to have your face uncovered. It does not interfere with the straps or closures on the helmet and the brim section ensures the hat does not slide down over the face when you are riding. The yarn I chose to use is machine washable and dryable, which I think is something you will want to look for in your yarn, if you are substituting to make your project. Yarn: Red Heart Super Saver Chunky. 5 oz (141 g) and 173 yds (158 m). 100% acrylic. Bulky Weight Yarn . Machine wash warm; tumble dry; do not bleach; do not iron; dry cleanable. Colors: 1 skein in Dark Orchid – E306_0776. Hook: 8 mm (L-11). I used this hook. To Cover Horse Back Riding Helmets. Small to XL. For the large and XL size you may wish to repeat a few more rounds for length to allow it to reach to cover the base of the neck. You can begin by using a ch 3 and sl st to join to form a ring and then work your stitches into the ring instead of using the double magic ring, or magic ring technique to start. Ch 3 does not count as a stitch and we do not work into it. The sl st to join is worked into the first dc of the round. Skip over the ch 3 completely (pretend it isn’t there). I’ve included the video for the brim (peak) of the helmet in this post and on YouTube (coming soon!). The helmet cover is worked in joined rounds from the crown (top) of the hat, downward. Part 1. The Main Hat. Using your 8 mm (L-11) hook (or size required for gauge). 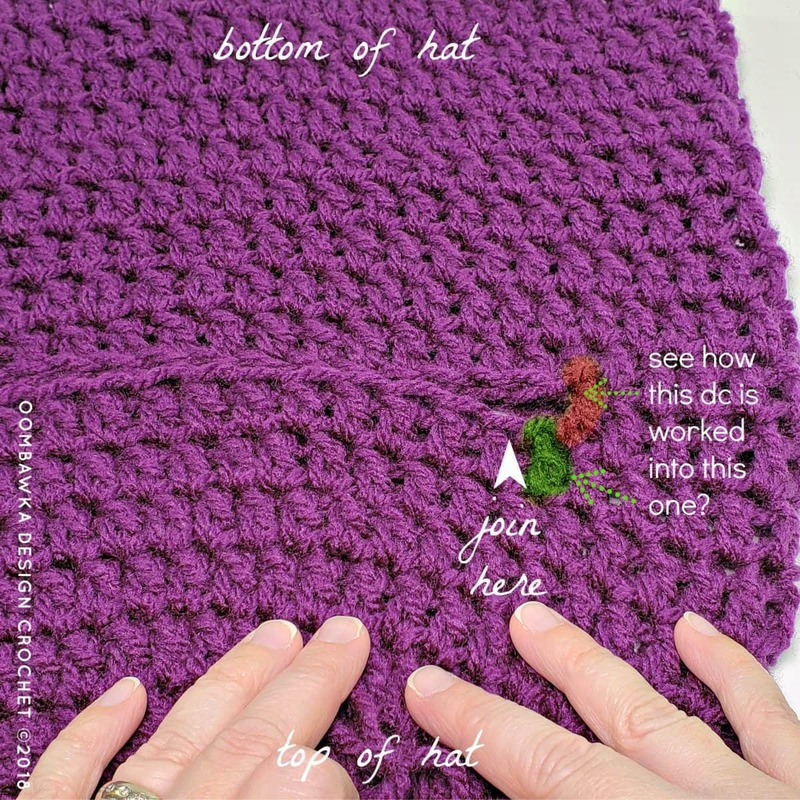 If you would like a longer hat, keep repeating until you reach your preferred length. Part 2. The Helmet Brim / Peak Cover. R4: 1 sl st in each st across. Sl st to the same dc of the main hat (same as previous row). Finish off. Last year’s Horseback Riding Helmet Cover. That’s it! You are all done and ready to brave the cold winter air. Have fun riding your favorite pony!